The opening and closing of your jaw probably isn’t something you think about very often (or at all), but it’s a pretty complex thing! 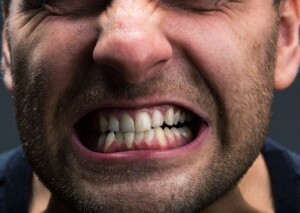 The action is all centered around the temporomandibular joint, or the TMJ. When everything is right with the TMJ, you can chew, speak, smile and sing along in the car whenever the mood strikes. But when something’s wrong with either of the joints, you feel it — and pain, headaches and difficulty moving the jaw are soon to follow. Fortunately, Dr. King Scott offers TMJ therapy in West Monroe, LA. Keep reading for more on the condition and its treatment. The temporomandibular joints, or TMJ, are the joints on the left and right of your face that hold the jaw to the skull. They can become easily misaligned, and when they do, serious problems are soon to follow. TMJ disorder can be caused by a number of issues, and some of them may come as a surprise. Stress, heredity, habits or injuries can all play a part in the misalignment of your jaw. When it happens, you may exhibit certain indications of TMJ. If you or a loved one are dealing with any of these symptoms of TMJ, you can find relief by seeking professional help immediately. If you’re dealing with the painful effects of TMJ disorder, you’ll be relieved to learn you already know the doctor who performs TMJ therapy in West Monroe — it’s Dr. King Scott. In fact, treating disordered TMJs is part of his specialty. He studied TMD therapy and bruxism at The Dawson Academy, a prestigious continuing education opportunity for only the best dentists. Dr. Scott has already helped numerous patients in West Monroe achieve the relief they seek with TMJ splint therapy — an oral device that allows your facial muscles to relax, finally taking pressure off the misaligned joint. Join your West Monroe neighbors who have found relief for their jaw pain by scheduling your appointment with Dr. King Scott in 2016! Our state-of-the-art practice is located in West Monroe and we are happy to provide excellent dental services to Monroe, Ruston, Rayville, Farmerville, Columbia, South Arkansas and greater North Louisiana.